What is REALLY a Baltimore Album Quilt? 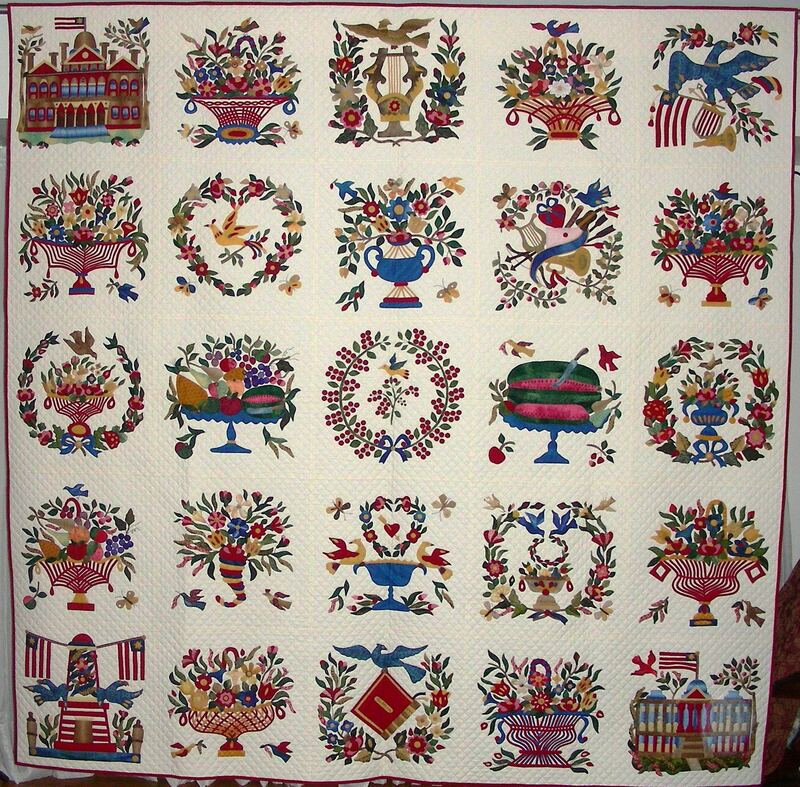 Album Quilts were a style quilt found from New Jersey to South Carolina and as far west as the Mississippi River. 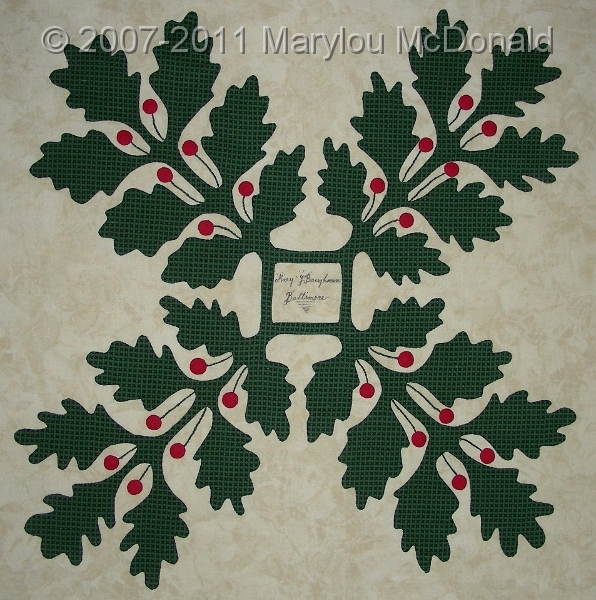 Album quilts are recognizable by their fabrics and designs. For example, Crazy Quilts (1880-1910) were often made up in blocks consisting of fabrics of silk and velvets with beautiful embroidery. 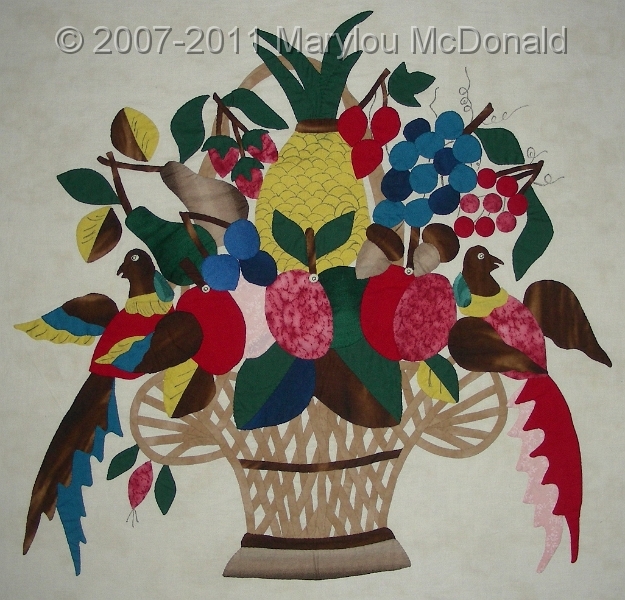 Marie Webster Quilts (1909-1942) which were mostly made up of recognizable appliqued designs and pastel fabrics. So what is really a Baltimore Album Quilt? 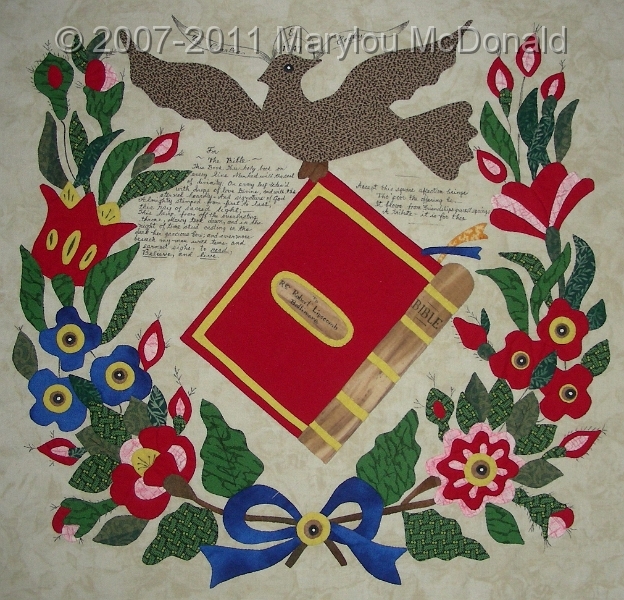 It is a type of album quilt made in Baltimore for or by someone living in Baltimore. 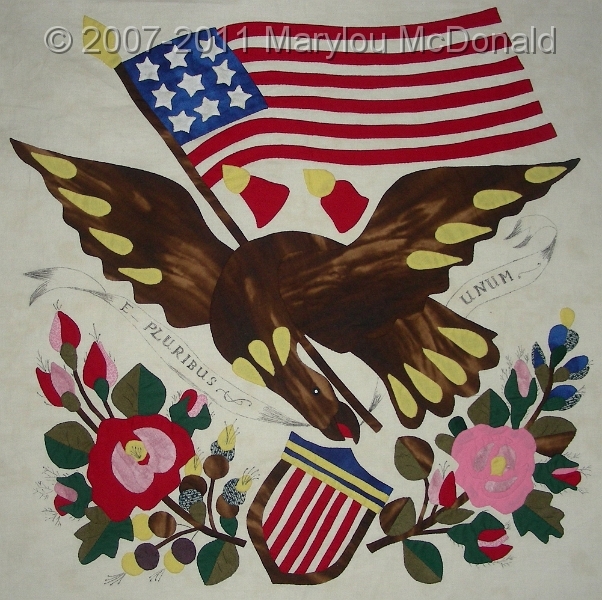 The 75 plus BAQs that I have documented, photographed and researched were made between 1846 – 1852. Block designs, maker’s signatures and fabrics help to determine if a quilt is truly a BAQ. 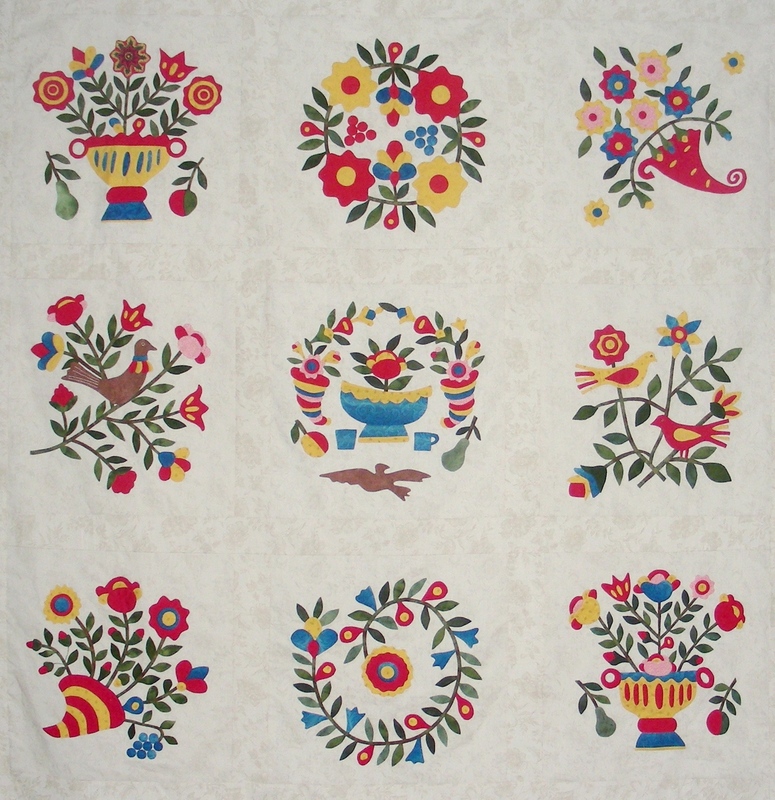 However, to be considered a BAQ, the quilt must have certain distinguishing style blocks. 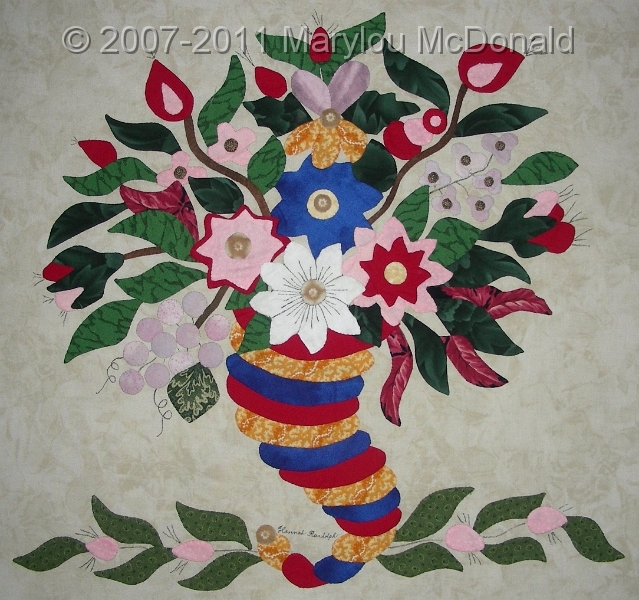 Here is an example of a quilt that has all Style 1 blocks and is my Mary Simon reproduction quilt. 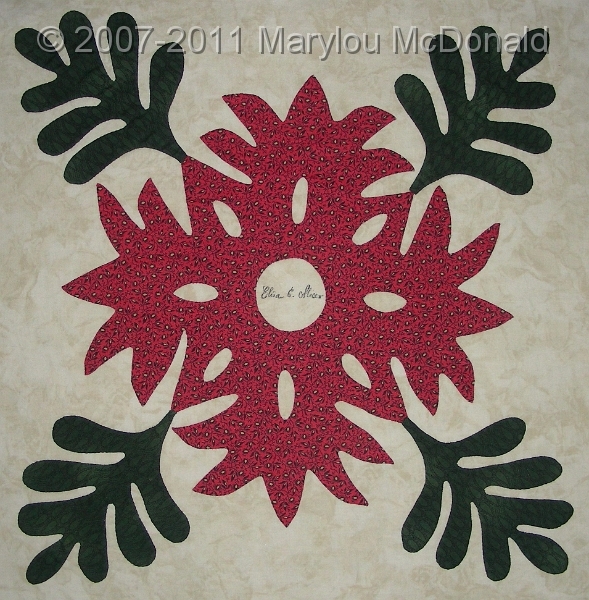 Style 3 blocks consist of mostly solid fabrics with 35 to 60 appliqued pieces. These blocks are found in BAQs dated 1846 -1848. However, I have found one BAQ with this type of block dated after 1848. I refer to these blocks as the hot dog rose block although not all blocks have a rose. The style of the block determines this style. Below is a photo of my Style 3 quilt made up of Style 3 blocks reproduced from 9 Baltimore album quilts. A combination of these 3 styles, fabrics and signatures make up a Baltimore Album Quilt. Not all album quilts are BAQs. Album quilts made in surrounding counties of Baltimore to include the surrounding states of Maryland (Pennsylvania, Virginia, Delaware) are not BAQs. Often these album quilts are made after 1852 which is a clue. In conclusion, I believe that there possibly were other album quilts being made in Baltimore which did not contain the three styles found in Baltimore Album Quilts.